Maple Grove Water Treatment Plant (MGWTP). MGWTP is operated by highly trained, state certified Water Treatment Plant Operators. We are proud that our facility continues not only to meet but exceed, all State and Federal Drinking Water Standards. The current plant began service in 2008. The new MGWTP can treat and produce 15 million gallons of high quality, clean water per day, and the plant is expandable to treat 18 plus million gallons per day. The MGWTP will serve our customers well into the future for both water quality and demand. 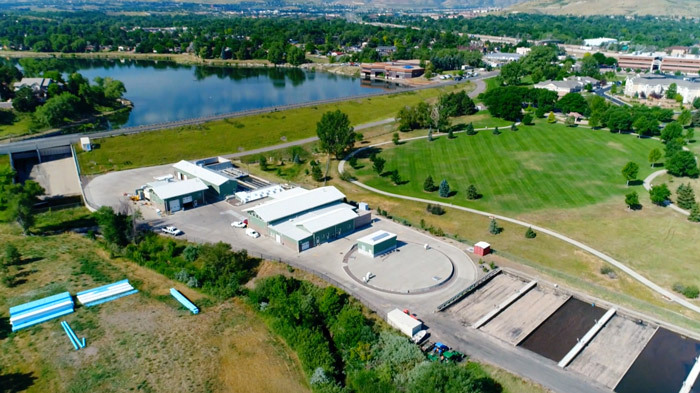 Untreated (Raw) water comes from Clear Creek, Coal Creek, and Denver Water to our plant through a series of pipelines, canals, and reservoirs. 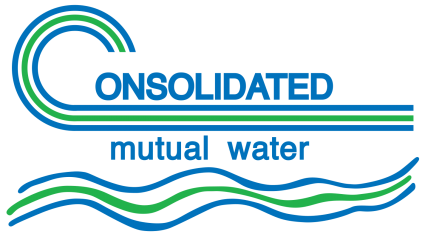 Multiple water sources and many storage facilities allow Consolidated the ability to blend and switch sources as needed to attain optimum water quality. The pre-treatment contact basin allows the raw water contact time with additives that assist with the removal of iron, manganese, and any taste, or odor that may exist before the raw water enters the next stage of treatment: called coagulation. Following pre-treatment, raw water enters the coagulation stage. This stage is the first step in the primary treatment process. During this stage, additives contact the water through a rapid mixing process and neutralizes the naturally-occurring forces that keep the smallest particles apart, in preparation for the water moving into the next stage: called flocculation. In the flocculation stage, water is mixed gently for an extended period by rotating large, submerged paddles wheels in the flocculation basins. This part of treatment process allows the smaller particles to collide with each other creating larger particles called floc. The water then exits the flocculation basins and enters the sedimentation basins. The primary function of the sedimentation basins is to prepare the water for filtration. In the sedimentation basins, water movement settles down which allows floc particles created in the flocculation stage to settle for removal. After the sedimentation stage, only very-fine particles remain, and the water is ready for filtration. After the coagulation stage, flocculation, and sedimentation stages are complete; the water enters the filtration process. This treatment stage is essential in eliminating any remaining, extremely small, unsettled particles in the water. During the filtration stage, water passes through a filter membrane, removing the last, undesirable particles in the water. Our filters are state-of-the-art sophisticated membrane filters consisting of a polymer-based fiber. The filters reduce any suspended matter in the water to levels well below the Colorado Department of Health and Environment’s standards. An automated system continually monitors and cleans the filters to keep them performing at peak levels. After removal of any remaining super-fine particles, the water moves into the final treatment stage: disinfection and storage. After filtration, the clean water is disinfected and flows to the finished, clean water reservoir before it enters the distribution system pump house. The clean, treated water is now then ready for you: our customer!